Get your stomachs ready KL! For this week is CultureRun’s Do Something Different food and drinks weekend! 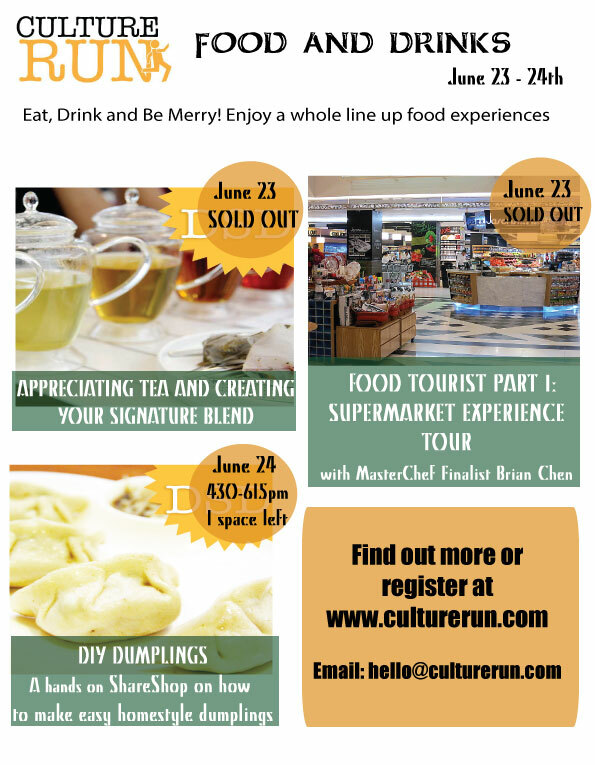 Featuring high-quality, fun and affordable classes on Tea blending, Supermarket tours and Chinese dumpling making! What’s On This Weekend: Do Something Different Food and Drinks!